The current issue surrounding the talk of antiquities lies in ownership or rather the lack there of, of antiquities. This is a debate that has been surrounding Archeology and its ethics for centuries. The ownership of antiquities has been something that many people have split opinions about. The division roots from the argument of whether or not artifacts should be returned to their origin instead of being on display in encyclopedia museums across the world. Over time as more and more nations have developed and become their own independent entities more nations have reached out to collect artifacts that they believe belong to them as a culture. They want to recover these artifacts and have them on display in their own countries because after all they are part of their history. Globalization plays a large role in this issue because the world is never going to always be stable or on the same page. One nation is going to be suffering and one is always going to be prospering. The understanding that there will always be somewhere better spreads the understanding that different areas need to be treated differently than others. Meaning that rules surrounding antiquates varies in different parts of the world to protect counties so they don’t get bullied by larger more powerful nations. But looking back encyclopedia museums have a right to these artifacts (minus a small number of slip ups) everything they own they took with permission. This is something that many natives of these other countries do not agree with because they see these artifacts as part of their homeland. While others find the beauty in the educational availability to encyclopedia museums. How their linking of nations and art can show the world has a whole while simultaneously highlighting different places differences and unique traits. I think this is a situation that will never make everyone happy but it is important that countries are not bullies or neglected because of their size. The distribution and home of antiquities is a challenging and divided topic. The debate about ownership of antiquities has two sides. Those who believe that antiquities belong to the countries in which they originated or to the encyclopedia museum that funded their finding and took it with permission from a prior government. One argument is that encyclopedia that have taken all proper steps in the gaining of artifacts should not be forced to return artifacts to a country. If encyclopedia museums had funded the finding of artifacts and met with the government at the time to gain permission and to formulate an agreement in which to follow in order for it to be a just and fair process they have not broken an laws. In most agreements they would give ten artifacts of the government’s choice to them, then everything else would be slip between the archeologists and the government in power. Although these agreements were legitimate some countries feel that they should not have been made and that their artifacts should be back where they belong, which to them is home soil. The other side of the argument argues that their artifacts should have never been taken in the first place. That there right to these objects is still something to be discussed presently. These artifacts where found on their soil and where left there-by-there ancestors so they are an extension of themselves and their society. They see them as a valid part of there culture. With these two very loaded and substantial arguments it’s hard to see a clear right or wrong answer to who really owns these antiquities. Prior to the research I did on this debate of ownership of antiquities I could not see how this was something that affected me as an individual. That was until I did my research and found out that I do have an opinion on this topic. Both sides have very respectable reasons for why they think they are right and with those reasons they both have a rather large following willing to fight for what they believe to be fair and just. But early into my research it became very apparent to me that I to have a side in which I am fighting for. I held an opinion on something I didn’t even know could affect me so greatly up until I realized just how wide spread this topic and debate was. Through my research I realized that I was a strong supporter of encyclopedia museums and their ownership of antiquities. My decision to side with encyclopedia museums stems for my love for them and their vast array of different artifacts and paintings from different times and different places all under one roof. “Museums encourage curiosity and promote a cosmopolitan worldview.” (Cuno 122) I share Cuno’s out look on the impact in which museums play in society. In my opinion the planning and presentation done in these museums only enhances the importance of these pieces of art. The fact that they are surrounded by other artifacts that either they may have been inspired by or that were the inspiration themselves just really give a better appreciation for it. Not to mention the amount of people that have the ability to see this artwork because it is in a major museum that also is home to so many other things only amplifies the impact these encyclopedia museums have. Although I support encyclopedia museums and their ownership of antiquates that does not mean I turn a blind eye to faults in the system. The collection of antiquities done properly to further the education and appreciation of an artifact is a beautiful thing, it should be able to be shared and should be displayed for people to see. But I do not support when the removal of an antiquity is detrimental to the integrity of the piece. A piece of art should never be taken from its homeland just to be owned by another country if it hurts the piece in any way. “Ere it be too late, ere the winters of New York shall have done for Cleopatra’s needle what a score of centuries have not done, and could not do.” (Long 412) In Long’s retelling of the destruction that Cleopatra’s needles was received by the environment and neglect in New York is makes me sad to think that it was harmed by being brought to us. While the appreciation of art and the interest to have it be available on a bigger stage for more too see is the dream it is something that should not be done if it effects the integrity of the piece of art it’s self. The balance of these two sides is hard to juggle but it is something we should not give up on. Many new ideas are being passed around in order to try and make other nations feel more included in there own cultural art. The idea of museums loaning out piece for periods of time and a cycle of different art around in order to spread the work. (Cuno 128) For the artifacts to seems as if they are not being held hostage by a different nation. In conclusion the ownership of antiquities has two sides both in there own right have valid arguments. With these two very loaded and substantial arguments it’s hard to see a clear right or wrong answer to who really owns these antiquities. There are encyclopedia museums and their educational impact. They have the ability to reach millions of people while simultaneously sending messages that span countries and centuries. Though while they do so much we have to be careful to remember that they are not always ours to take. With that in mind we must remember the importance of the other side, which is the preservation and taking back of previously owned artifacts to original countries. Both sides have very strong arguments but I support my decision in the endorsement of encyclopedia museums. Cuno, James. “Culture War.” Foreign Affairs (2014). Long, Chas. Chaillé. 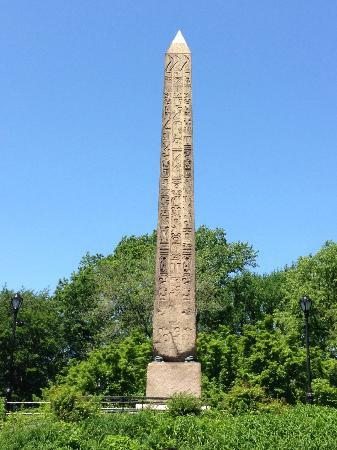 “Send Back the Obelisk!” The North American Review 143.359 (1886): 410-413.